Have you ever felt like you can do anything you want while you were drunk, even fly? Well, a lot of people have experienced the same thing because of the clouded sense brought about by the drunken state – and that’s the reason why drunk driving has been outlawed in many places because a lot of alcohol-fueled accidents have been recorded across the world. But one woman didn’t even get into a car to get into an accident. She simply climbed her neighbor’s roof but ended up trapped between the walls and sparking a rescue mission after falling down. The unnamed woman was drinking with her friends when she decided to climb up her neighbor’s window. The group won’t admit whether they made a bet and egged her on. They did not also reveal the reason why she even thought about climbing her neighbor’s roof but in her drunken state, she felt like it was an easy thing to do. What she didn’t realize is that drunks have a very poor sense of balance. Once at the roof, she lost her balance and fell down. 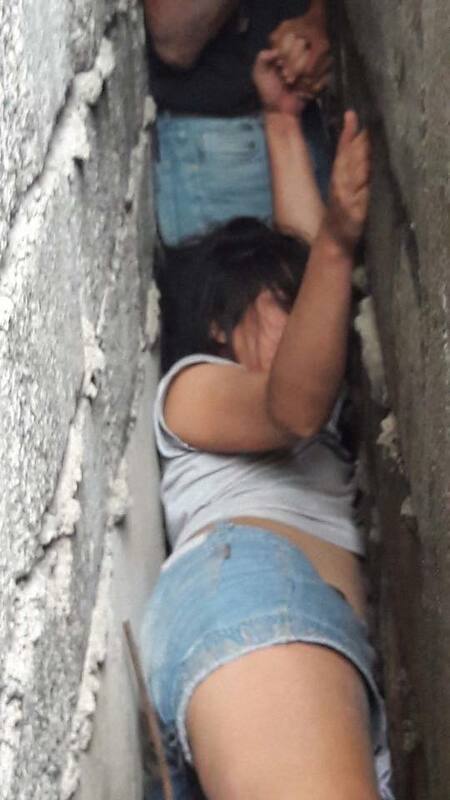 Unfortunately, she fell between the walls of two houses that were so close to each other that not one of her friends could get her out no matter how hard they tried. After failing in the rescue mission, they eventually asked for help. Netizens could not help but laugh at the woman’s predicament, saying she brought it upon herself when she started drinking. 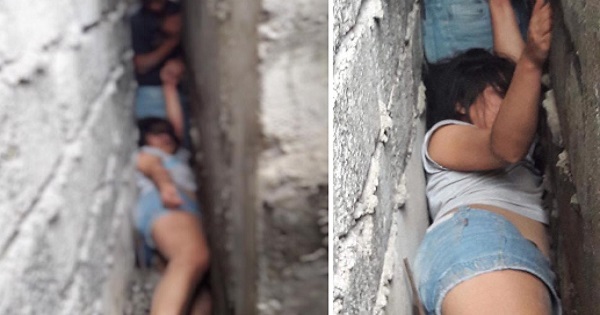 Photos of the woman still stuck between the walls would go viral on social media – and has gone viral again, one year after the incident. In her drunken state, the woman continued squirming between the walls, unaware of the danger she was in. 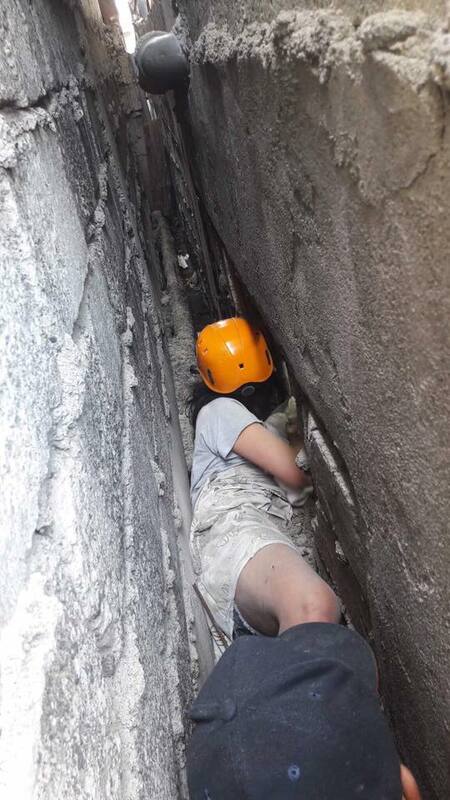 The space was so tight that the rescuers had to destroy one of the walls to get the woman out. I bet the neighbor was furious!